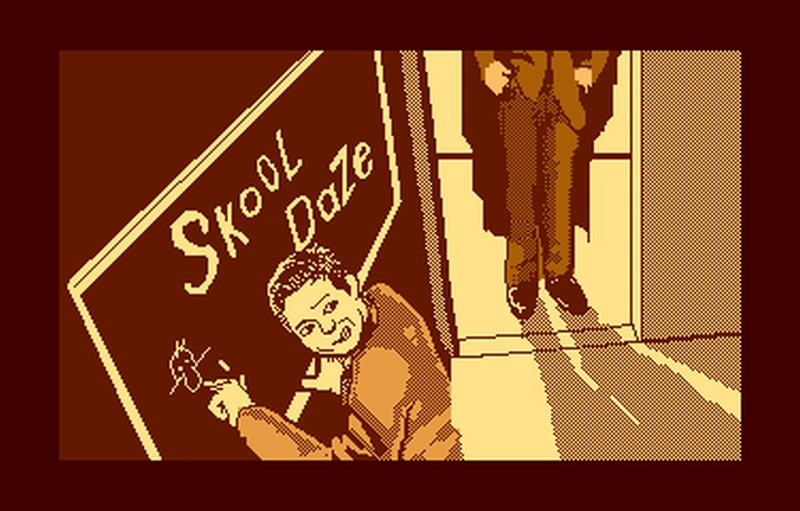 Indie Retro News: Skool Daze - Retro School antics arrives on the Atari XL/XE! Skool Daze - Retro School antics arrives on the Atari XL/XE! Another hit game which I'm sure you remember was the world favourite of 'Skool Daze'; a ZX Spectrum release from 1984 that featured lots of school antics as you play as a naughty schoolboy named Eric with a task to steal the report card from the headmaster's safe! This rather famous game that also appeared as an Amstrad CPC port this year thanks to Joseman has now appeared on the Atari XL/XE as a conversion from multiple systems. Yes indeed the classic SkoolDaze game is finally available for your Atari, and not just a soft approach version either, as thanks to Mariusz Wojcieszek with graphics by Jose Pereira, this rather special breed of game has been ported over from the C64 with background graphics taken from the ZX Spectrum version. Just be aware if you do want to play this fine game, you will need 64K of RAM on either a PAL or NTSC system.